Looking for Restaurants Near Leadenhall Market? If you are looking for a hidden gem of a restaurant around 1 minutes’ walk away from Leadenhall Market you must visit Bolton’s. 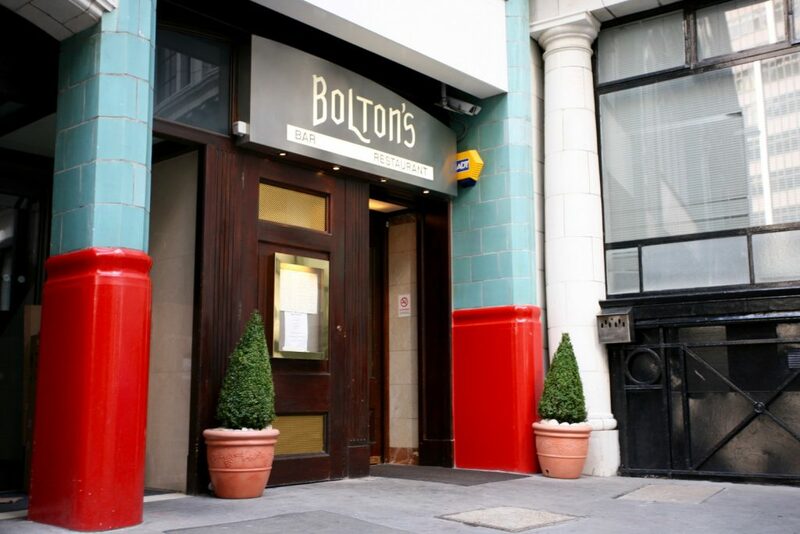 Bolton’s Italian restaurant based in 13 Cullum Street, London. 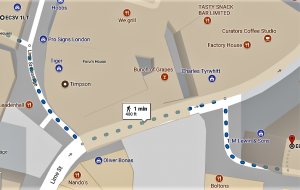 EC3M 7JJ is only a one-minute walk from Leadenhall Market through Lime Street Passage. Bolton’s is an ideal restaurant to catch up with clients, colleagues and friends,perfectly suited for anyone who either works or visits Leadenhall Market. It is especially popular for business who appreciates Italian gourmet food, wine and excellent service. You can enjoy our fine dining Italian cuisine, and are a popular choice for businesses based near Leadenhall Market who regularly use Bolton’s for corporate entertaining and private events. Leadenhall Market is a modern retail hub within a spectacular Victorian market setting. There are numerous independent and high street shops, offices and a wide variety of bars, pubs and restaurants all nestled within this bustling commercial area in the heart of London. At Bolton’s, restaurant, our philosophy is simple, we are inspired by the finest, freshest ingredients and the most authentic Italianvibrant flavours. In Italian our culinary style is called “alla Casalinga” which means “like mamma used to make.” Our reputation is built on Italian culinary excellence and we pride ourselves on the quality of our service and food. Whether you are entertaining clients or simply soaking in our atmosphere and enjoying superb Italian cuisine, Bolton’s Restaurant is a favourite dining establishment near Leadenhall Market, which provides a relaxing and intimate environment. Your table will be served by attentive staff who understand Italian cuisine and know their wines, so you can be confident in their guidance. In our opinion, we are the best Italian restaurant near Leadenhall Market but why not see what you think for yourself and rate us on TripAdvisor. We have several comfortable, versatile spaces available for Leadenhall Market clients and employee business lunches, private parties or if you just want the privacy of your own dining area. Bolton’s now have a separate recently refurbished Private Room that can accommodate up to 20 people. Guests may choose between our private dining room menu or our a la carte menu. Bolton’s restaurant is open Monday to Friday from 11.30am-3.30pm and 6.00pm to 9.45pm, so is a perfect choice for lunch, dinner or drinks near Leadenhall Market. To book a table at Bolton’s near Leadenhall Market call us on 020 7929 1981 to book or visit our website for more details.